LONDON, ON – Forked River Brewing has announced details of a special tasting night for a returning seasonal favourite. 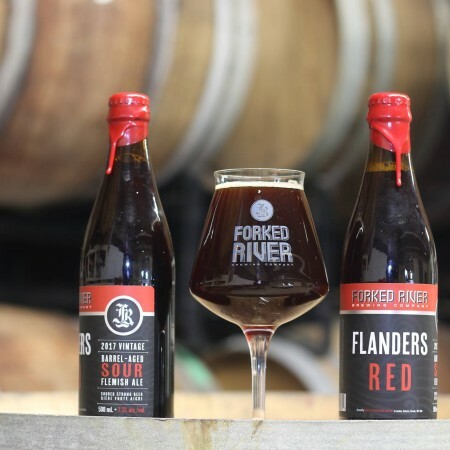 Taking place on Friday November 23rd at 7:00 PM, the Flanders Red Private Preview Night will give attendees the opportunity to be the first to taste this year’s vintage of Flanders Red Ale (7.3% abv), a traditional take on the classic barrel-aged Belgian sour ale. The evening will also include a tour of the Forked River barrel warehouse, a vertical tasting of three Flanders Red vintages, and a barrel tasting of a year-old Flanders Red that is aging for next year’s release. All who attend will receive a bottle of this year’s edition of the beer and a tasting glass to take home. Tickets to the Preview Night are available online for $40 while supplies last. For more details, see the Facebook event listing.